Fair Dinkum Sheds are proud to announce that we are the exclusive shed partner of MENZSHED NZ, the association which represents and supports Men's Sheds nationwide. They are often asked what a Men's Shed is, and the answer can be long! But to put it in a rather large nutshell, a Men's Shed brings men together in one community space to share their skills, have a laugh, and work on practical tasks individually (personal projects) or as a group (for the Shed or community). The sort of projects a Shed tackles is entirely up to the Shed concerned, however most Sheds around New Zealand take on some community projects, examples of which include building playgrounds for pre-school centres, repairing toy library stock, repairing old bikes for distribution to poorer communities, building planter boxes for the main street of the local central business district, and the list goes on. 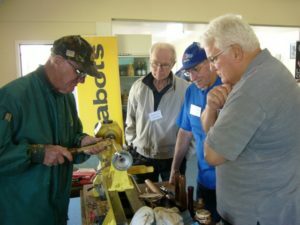 The Men's Shed is a great place for blokes to learn new skills. We see builders teaching engineers some of their skills and vice versa, we see accountants being shown a plethora of skills they never had the opportunity to learn in their working life. Some Sheds also have sessions catering for women who wish to acquire new skills and get involved in personal or community projects. 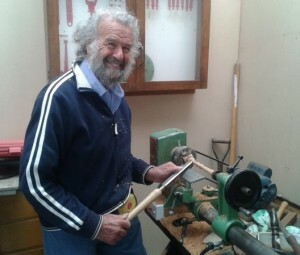 Many couples find that after retirement, the shock of suddenly being with each other every waking (and sleeping) hour can cause friction, so the Men's Shed is a great place to escape the stresses of “underfoot syndrome”, and the result is that women are among the most ardent supporters of Sheds. On a more serious note, Men's Shed are an ideal place for health professionals to gain access to men who may otherwise not take as much care of themselves as they could, and many Sheds invite them to give informational talks and basic health checks at the Shed in the men’s own environment where they feel the informality makes for a more relaxed atmosphere. “Fair Dinkum Sheds are proud to partner with MENZSHED NZ”, says Martin Guenzl, General Manager, Fair Dinkum Sheds. “We look forward to helping more Men's Shed get set up across New Zealand by providing financial assistance with the set up costs associated with building sheds,” he says. “Each shed has different sizes, storage, access and shape needs, so our ability to customise each shed to the specific needs of its users is of significant benefit. 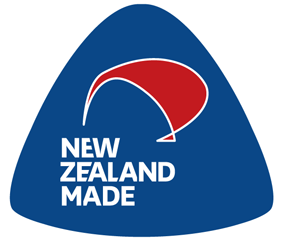 We also have a network of distributors in across New Zealand that is able to support the supply of these sheds. Our support of Men's Shed includes sponsorship funding for the association, as well as support in providing new sheds. We also look forward to developing local promotional initiatives between our distributors and their local Men’s Sheds so we can jointly raise awareness and support of their cause”.